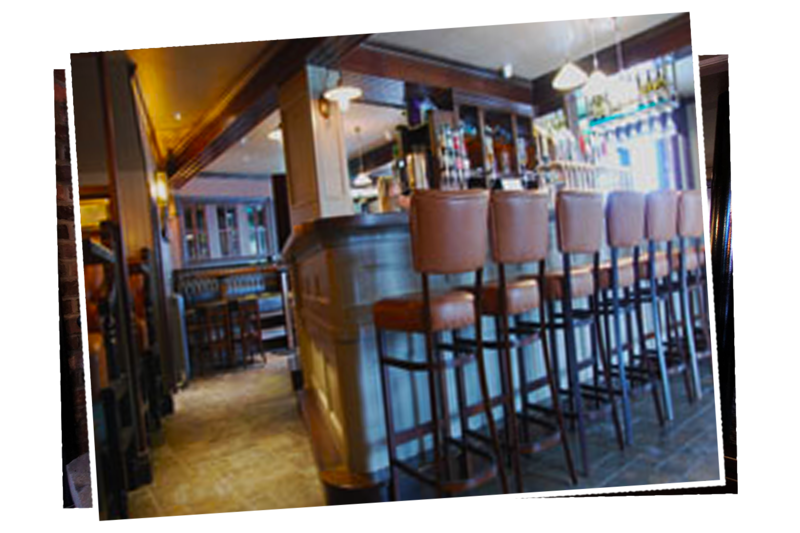 Teamwoodcraft Restaurant fitouts are located all over the world. Our projects are based across Europe, the U.S.A., Canada, Russia and China. 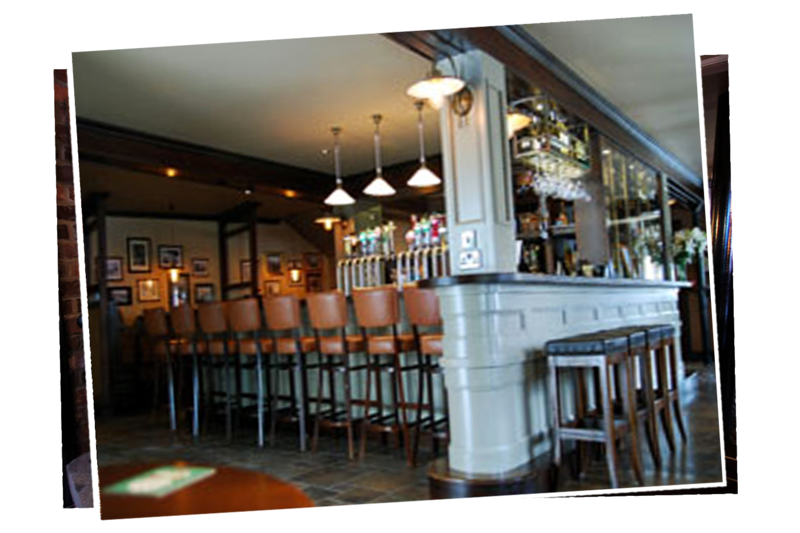 We make pubs to any style or design, whether themed or not, but they all have one thing in common – they are a home away from home abroad, and an atmospheric location to meet at home in Ireland. We work with independent designers or can design in house for those smaller projects. Food is one of the most valuable products in your business so it’s essential your clients feel relaxed and inspired. 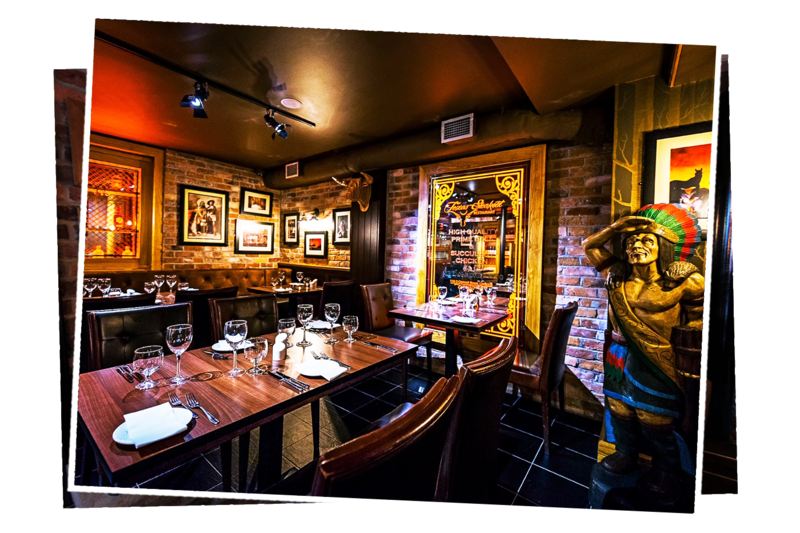 The blue grey colour of the booths here complement the rest of the room and make for a great location to catch up with friends. This restaurant has a strong summer vibe. Bring the garden inside and update your eaterie with warm colours. You can turn a wall into a feature and conversation piece by adding wall paneling and, in this case, a branded feature. This increases the possibility of product spend. 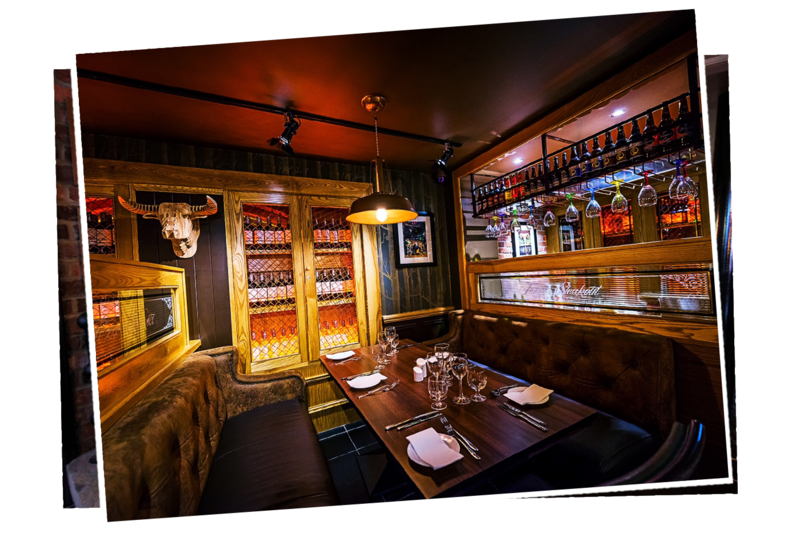 This restaurant is located in Limerick, an area well known for its history so it was important that the restaurant fit out matches the brand that is the Texas Steakhouse. This is a themed restaurant with a strong American influence in the joinery. A mix of light and dark woods was used here to lighten the building and create interest. 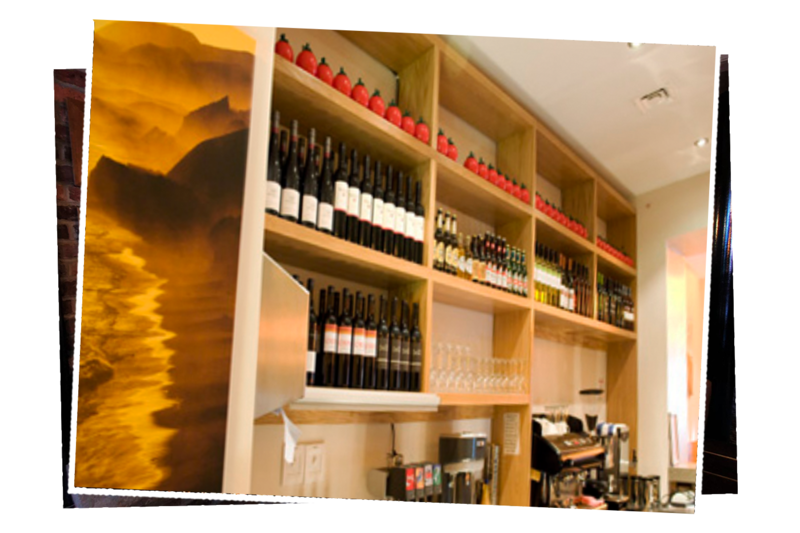 Partitions are used to create privacy and product is prominent in the display cabinets. This is an old dark building so painted counters and cabinets were mixed with the more traditional colours. 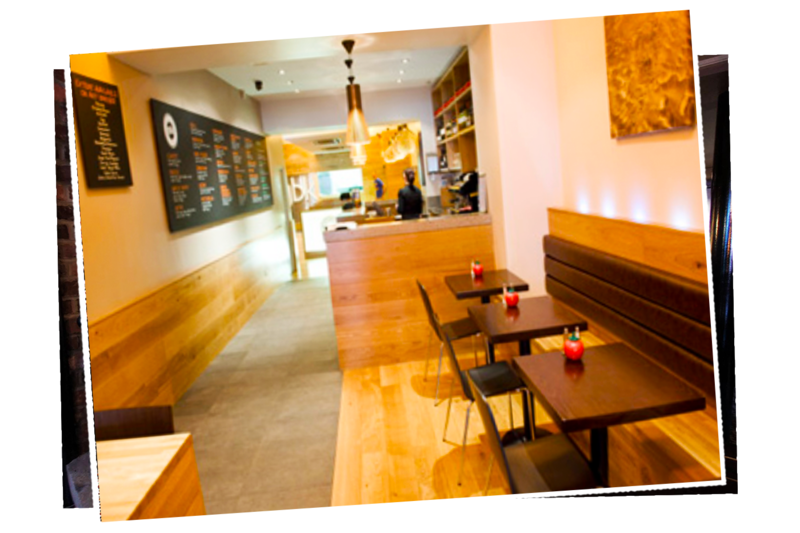 The use of light wood as wall paneling at the back of the restaurant creates a feeling of space and warmth. 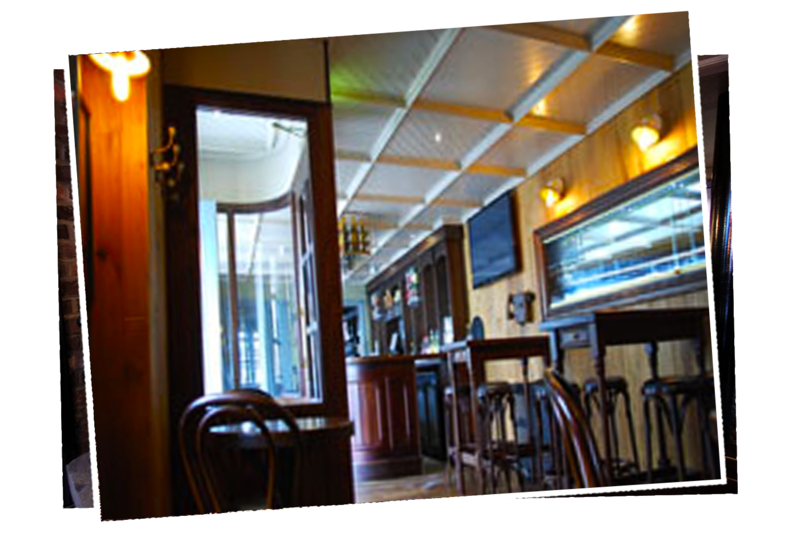 The restaurant cabinets are constructed of mahogany which give the feeling of a rich warm interior. 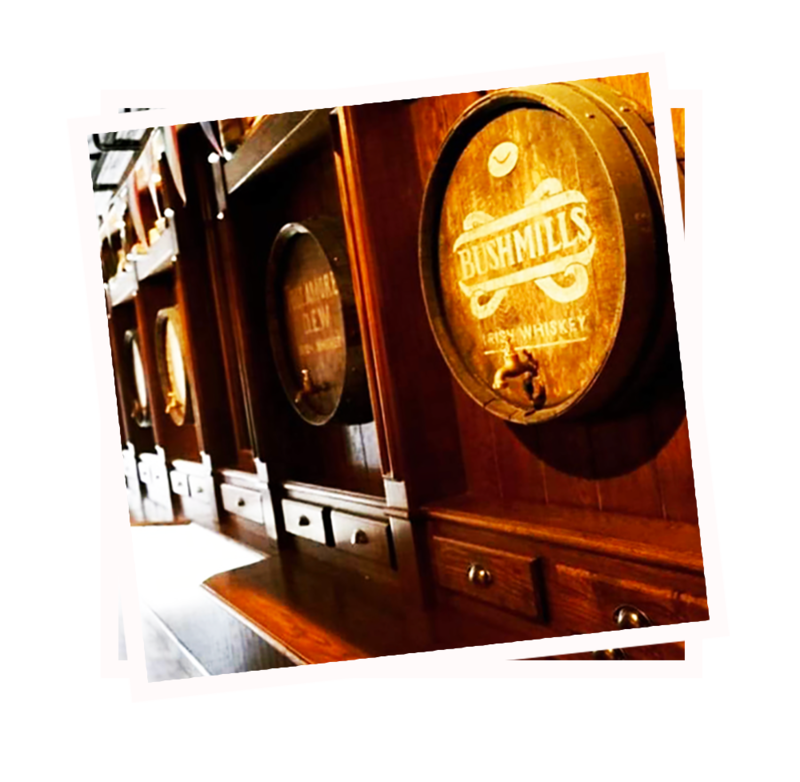 The restaurant serving counter is finished in a very unusual colour which marries a traditional Irish bar with a contemporary look. 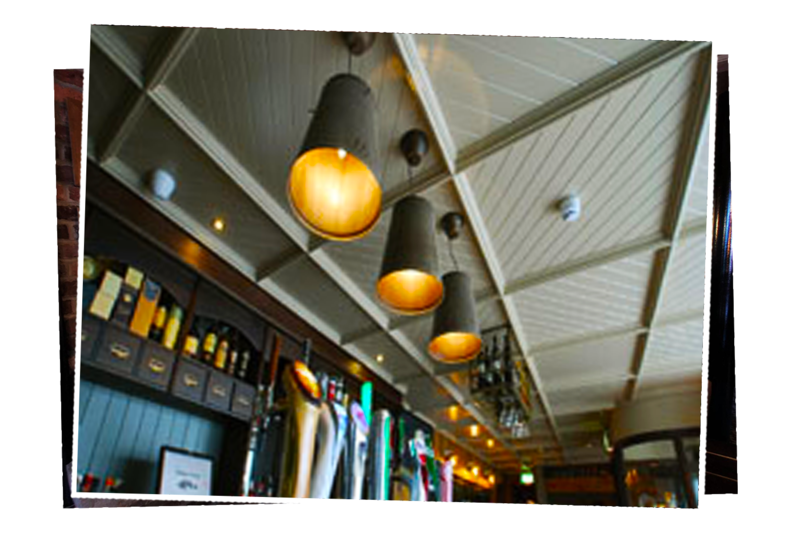 The restaurant ceiling is herring bone with a light paint effect to lighting the room and heighten the ceiling. 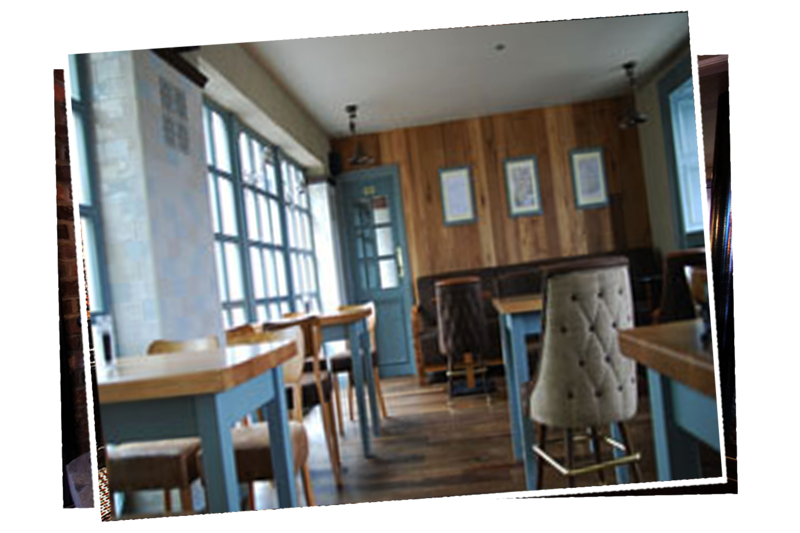 The restaurant joinery works really well and creates an informal, relaxing atmosphere through the mix of colours. 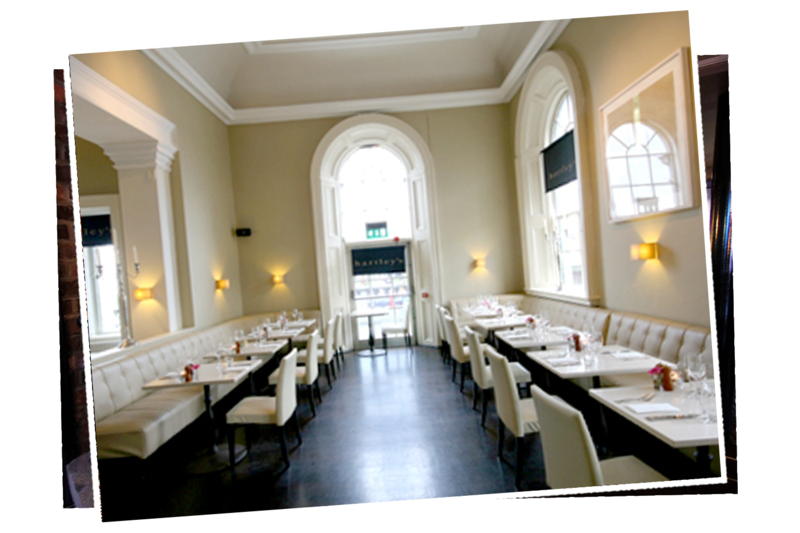 Hartleys Restaurant DunLaoghaire is a famous landmark. 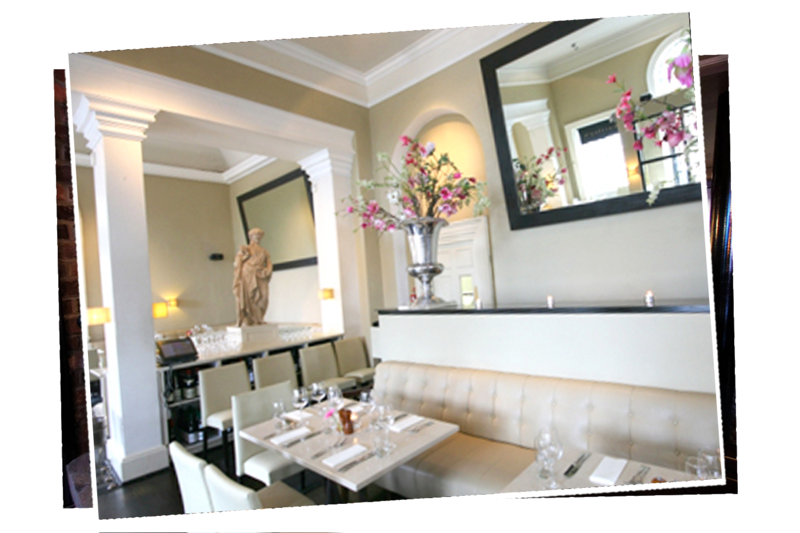 It was important that we keep an elegant townhouse interior that combined with their popular seafront terrace. The restaurant is part of a victorian railway station and so the fitout had to be sympathetic to the history. 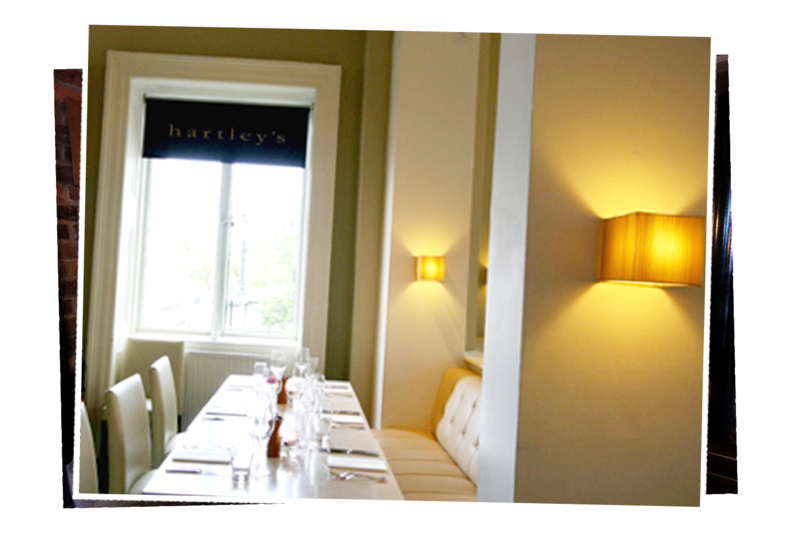 Hartleys Restaurant has an elegant ambience but is still a family restaurant and child friendly. 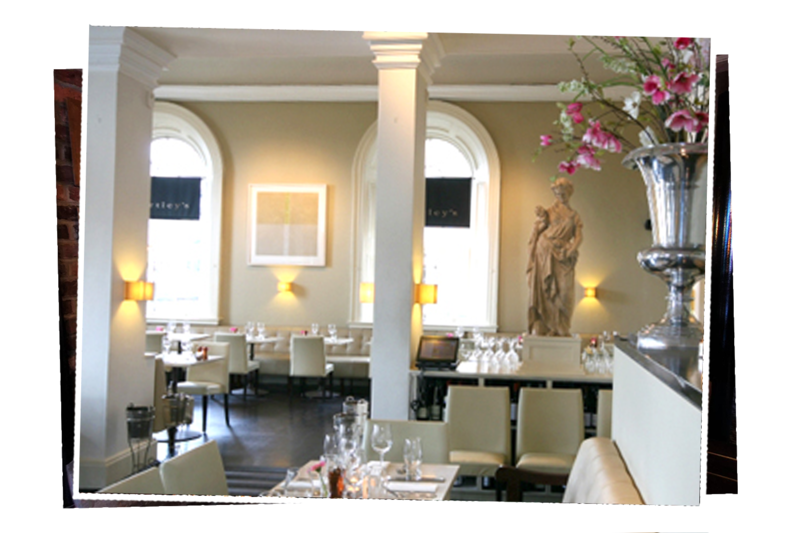 The restaurant is situated in the old ticket hall of the Kingstown train station and that provides Hartley’s with a Victorian elegance that is made contemporary with some modern elements. 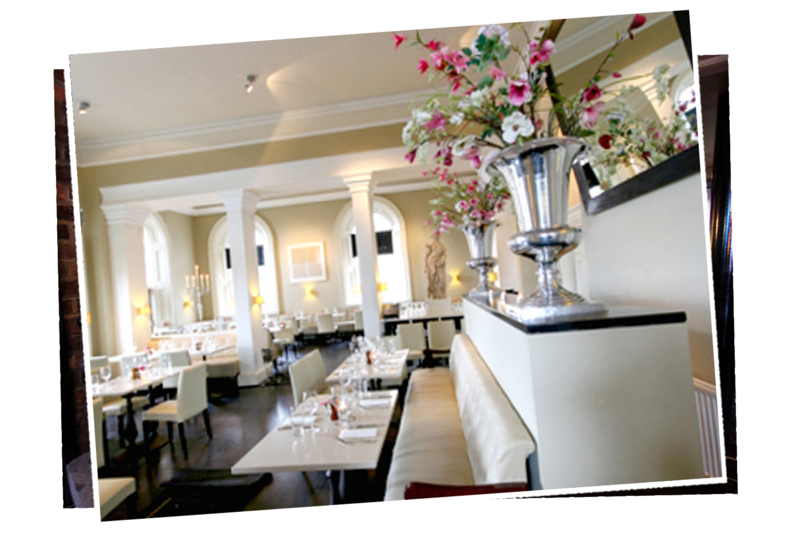 Hartleys is a comfortable restaurant in an old world, elegant setting. 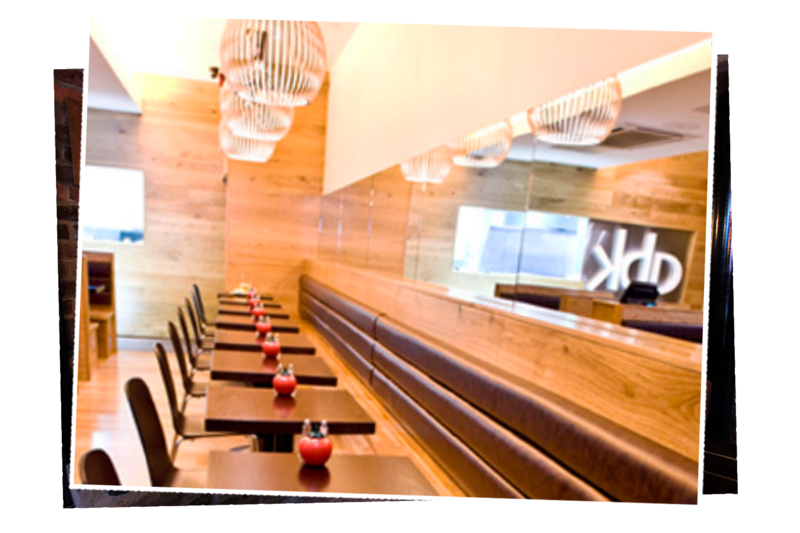 Gourmet Burger Kitchen is a restaurant chain in the United Kingdom specialising in gourmet burgers. 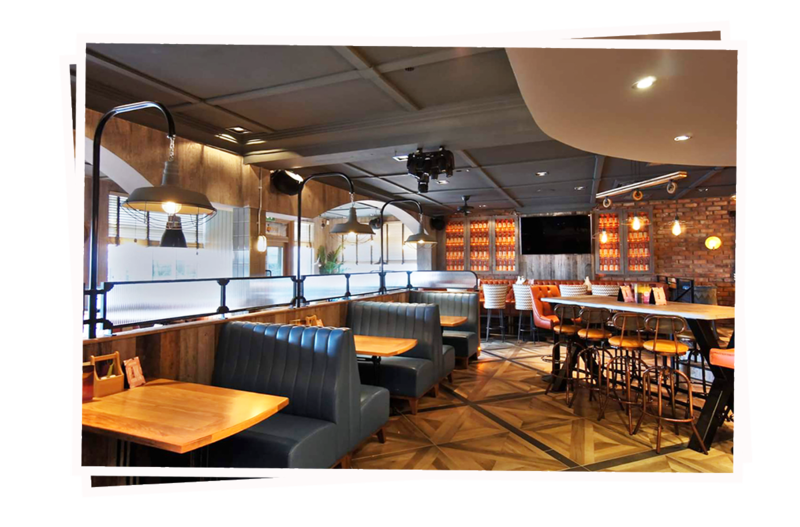 Gourmet Burger Kitchen has 80 locations with 2000 employees so the fitout here needed to keep on brand. 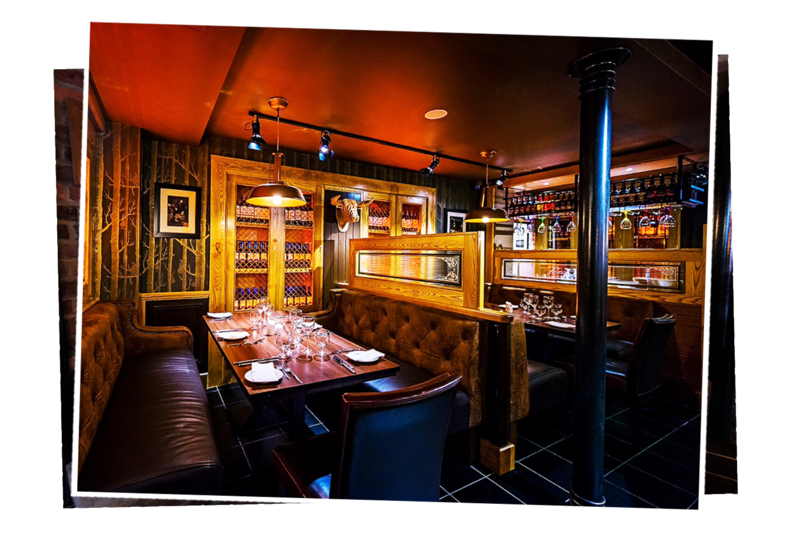 The Gourmet Burger Kitchen menu is consulted on by leading New Zealand and London based chef Peter Gordon. 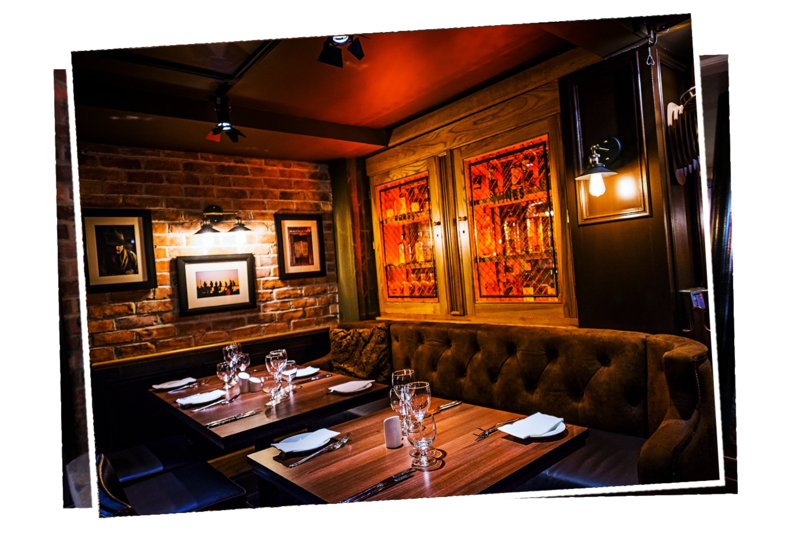 The menu offers classic flavour combinations and so the fitout is a classic oak design. 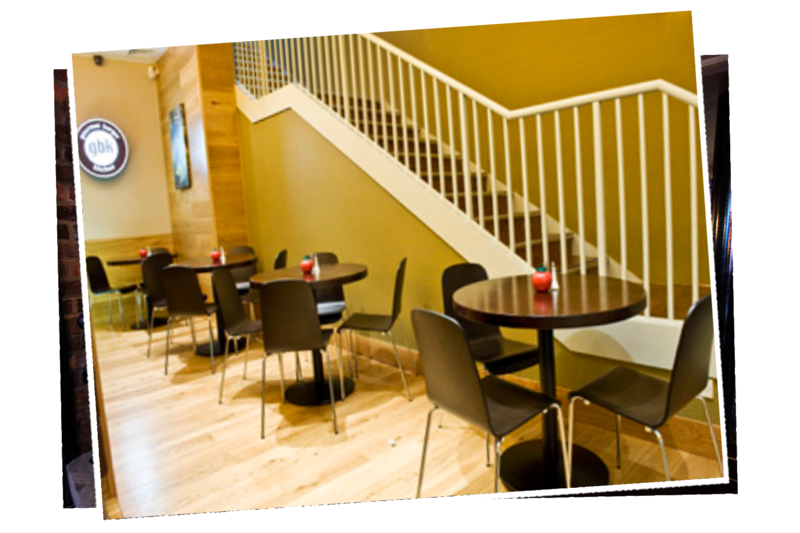 This is a bright airy fitout built to stand the test of time and lots of human traffic, burger sauce stains and spills. 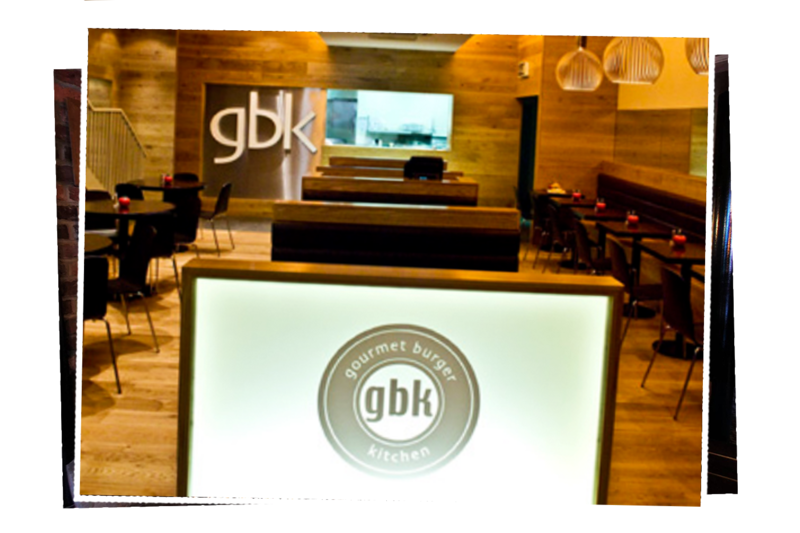 Gourmet Burger Kitchen now has 5 restaurants in Dublin. 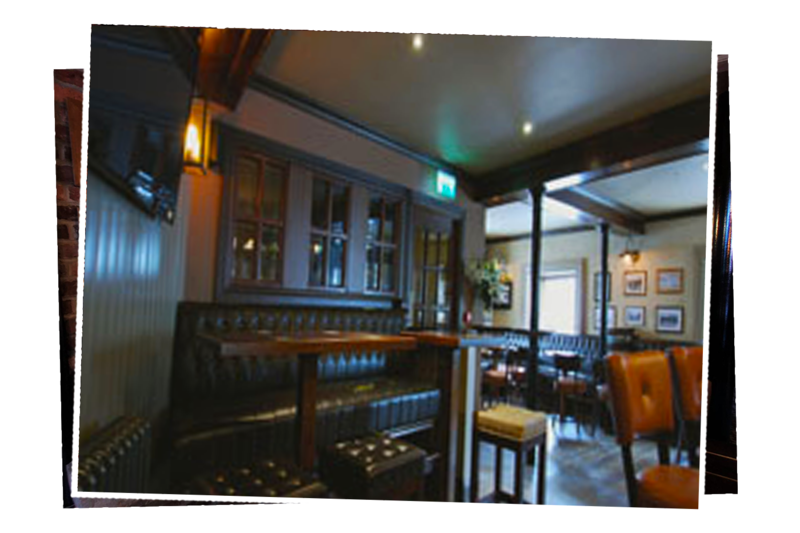 They serve up a variety of crafted burgers, combining 100% grass fed Irish beef, with the freshest ingredients. The clean minimalist oak design reflects that. 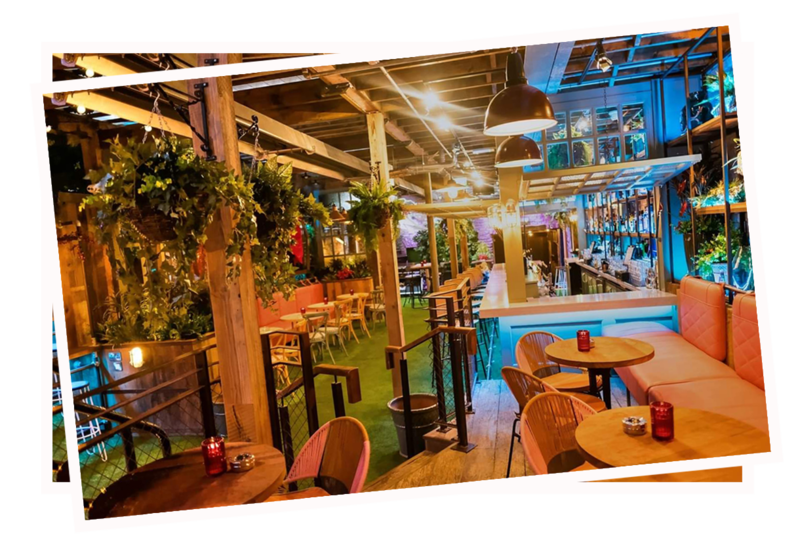 The seating was designed and manufactured to maximise customer sales while at the same time giving the customer a good experience.